The yearly Arrowverse crossovers keep getting more and more exciting and ambitious each season, with last year’s “Crisis on Earth-X” bringing together just about every hero from across Arrow, The Flash, Supergirl and Legends of Tomorrow as well as several more from the alternate universe of the title. Obviously, it’d be incredibly difficult to top that for the next event and so, The CW’s made the decision to cut Legends out of the equation. Don’t worry, though, as there will still be more than enough happening on this year’s crossover to distract viewers from the fact that the Waverider crew isn’t taking part. 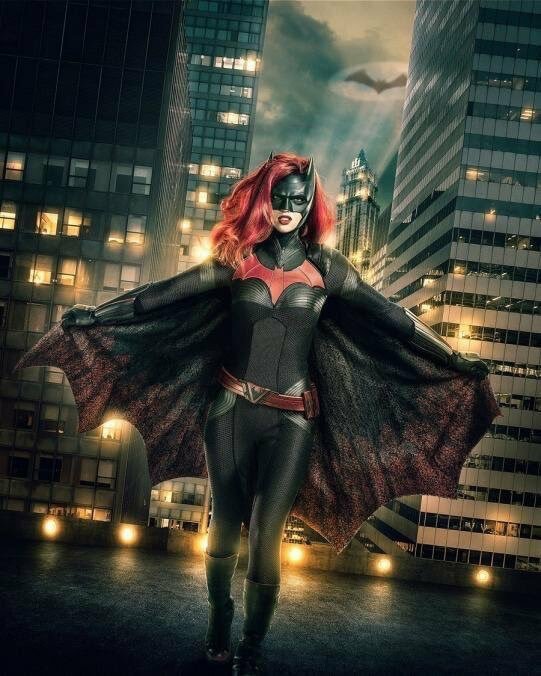 The big highlight is, of course, the debut of Ruby Rose’s Batwoman and now, ahead of the full reveal (which will apparently be here later today), we have a leaked image which shows us our first look at her – and we must say, it’s pretty amazing. Seen in the gallery down below is a pic that’s been making the rounds on Twitter and given that various accounts have already been suspended for sharing it, it’s safe to say that it’s genuine. Rose looks fantastic here, too, appearing as if she’s just stepped off the comic book page. It’s not exactly hi-res, but again, a proper, official reveal is expected to arrive later today. Of course, assuming the mantle of Gotham’s newfound protector isn’t something that Ruby Rose is taking lightly, and in a recent interview, she explained that she hopes Batwoman can be a platform for inspiration and diversity – especially for members of the LGBTQ community. It’s like the third thing I thought about, not only can kids watch this growing up and relate to it and feel empowered and think they can be a superhero, but also I can go on and do these things like visiting hospitals and kids and people in need. It’s a really amazing opportunity, obviously. I’m very excited. Airing over three consecutive nights, expect DC’s annual Arrowverse crossover to hit the small screen on December 9th – and only then will we be able to run the rule over Ruby Rose’s interpretation of Batwoman.